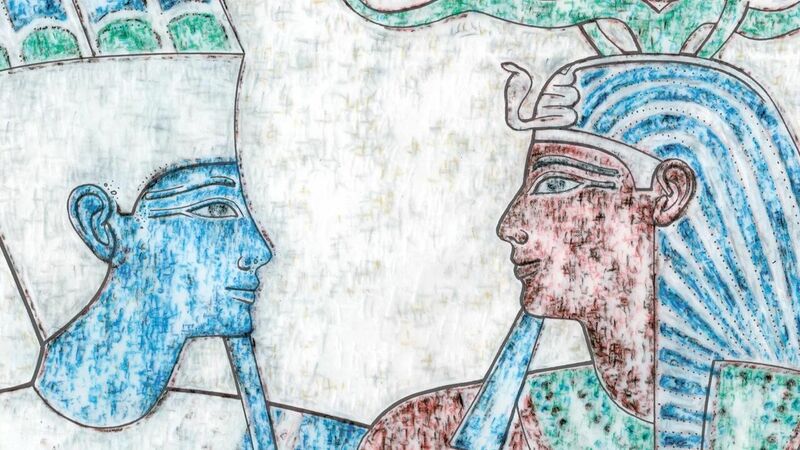 The Polish Centre of Mediterranean Archaeology’s present project began in 2008, with the aim of completing the study, restoration and publication of the Deir el-Bahari temple of Tuthmosis III. 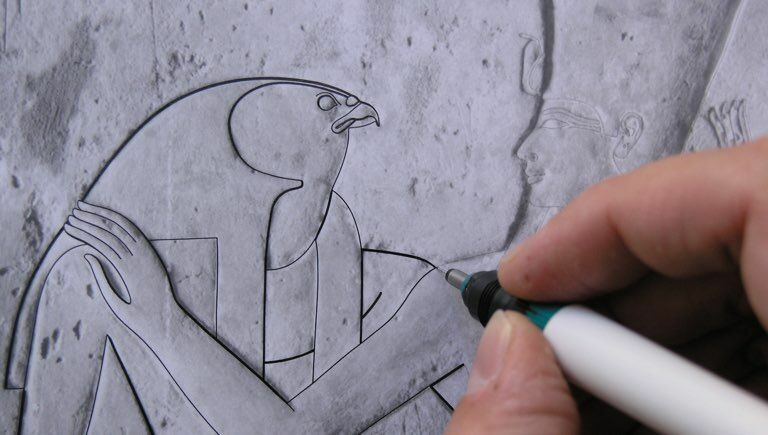 The work is the continuation of a previous mission led by prof. Jadwiga Lipińska, which was suspended in 1996. 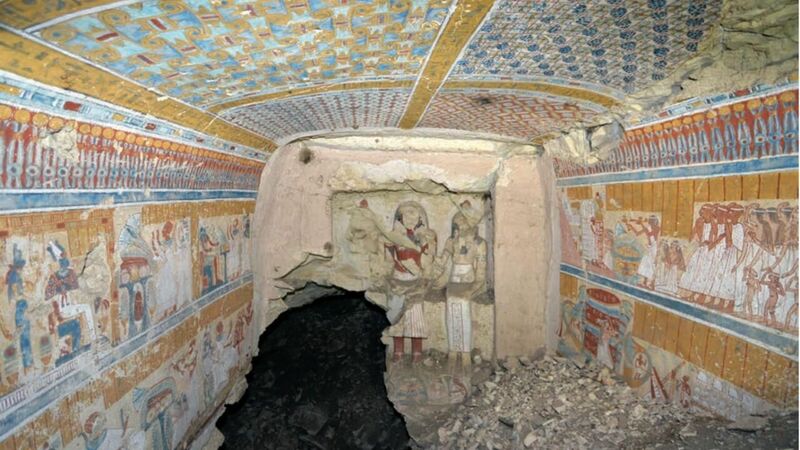 Between 2011 and 2013 the mission’s documentation work concentrated on scenes located in the Hypostyle Hall, the Bark Room, and rooms D, G and H. The scenes around the granite portal were also studied: “One of the few elements of the temple surviving in place is the granite doorway in the entrance from the Hypostyle Hall to the Bark Hall, important for its state of preservation, location, iconography and color scheme.” It had been remodeled, “the jambs having been pushed apart in order to widen the passageway”. All the reconstructed and localized scenes were drawn using CorelDraw and/or Adobe Illustrator. 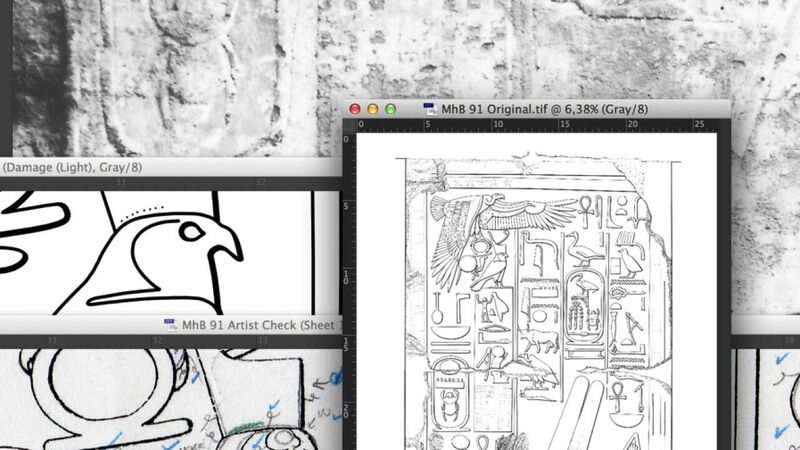 Scenes from the relief decoration of the Tuthmosis III temple: top right, suckling scene with Hathor and a god; bottom right, Nile gods decorating the entrance to Room D; left, scene with the king and Amun on the south side of the granite portal (Drawing M. Puszkarski [top and bottom right] and H. Lewak, G. Zborowska [left]). 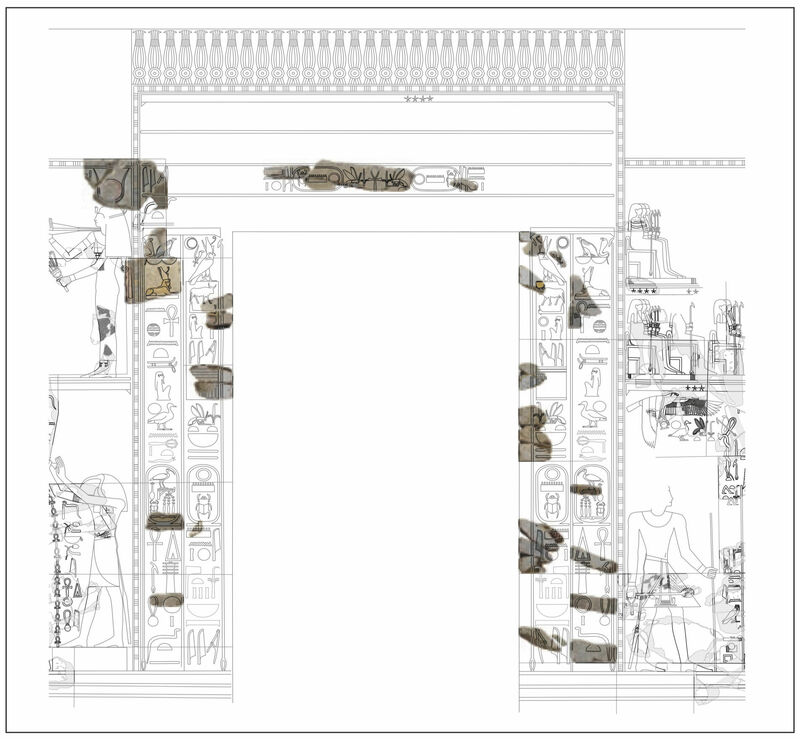 Bark Hall, east wall with centrally located entrance, state after the widening of the doorway (PCMA Tuthmosis III Temple Project/drawing K. Baturo, G. Zborowska, M. Momot). 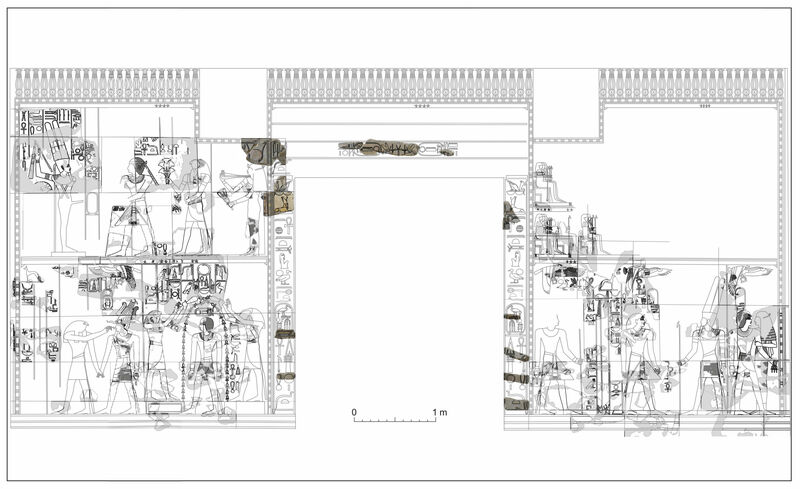 Bark Hall, east wall with centrally located entrance, state before the widening of the doorway (PCMA Tuthmosis III Temple Project/drawing M. Momot). 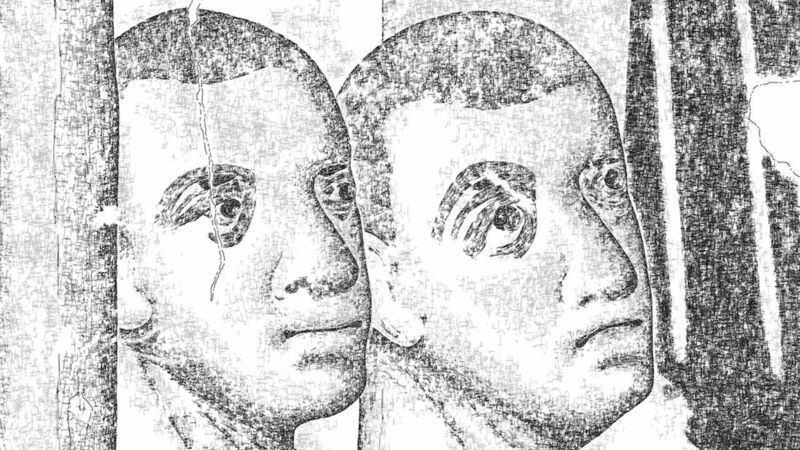 Carved decorative elements are presented by clean, single-weight outlines with the least possible amount of surface damage indicated. 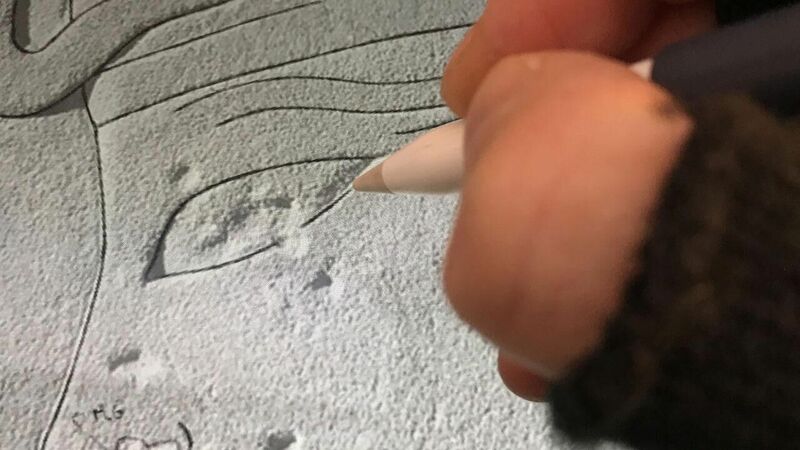 Occasionally, internal painted details, such as crown, collar or dress related design elements, are added as thinner light gray outlines. Block outlines are shown by solid lines, damaged areas (specifically along block edges) are added as a homogeneous gray fill. 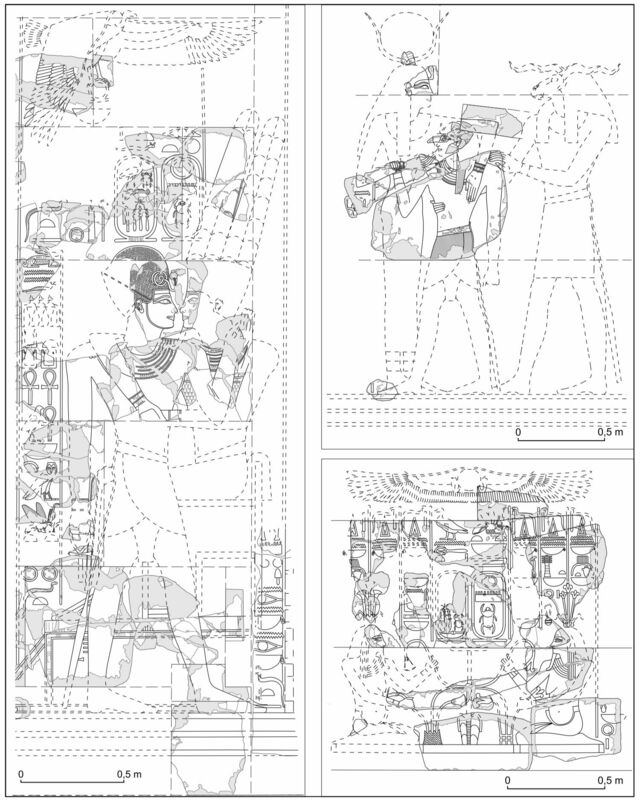 Reconstructed elements, while integral parts of the drawings, are represented in an unobtrusive fashion, indicated by either solid or dashed single-weight light gray outlines. 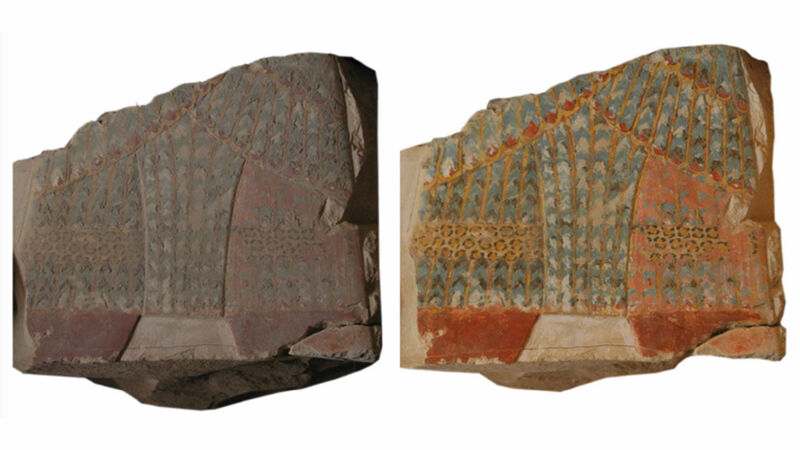 Color photographs of fragments, when placed within reconstructed scenes, demonstrate the original color scheme. 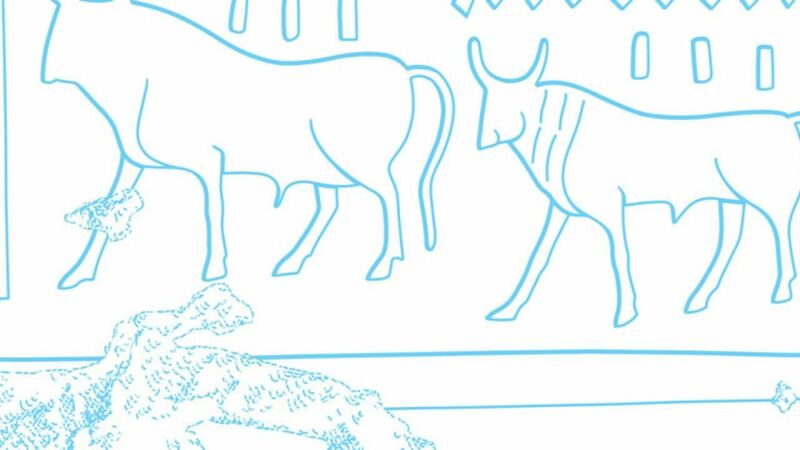 For additional information about the many different projects carried out by the Polish Centre of Mediterranean Archaeology, University of Warsaw, visit their website. 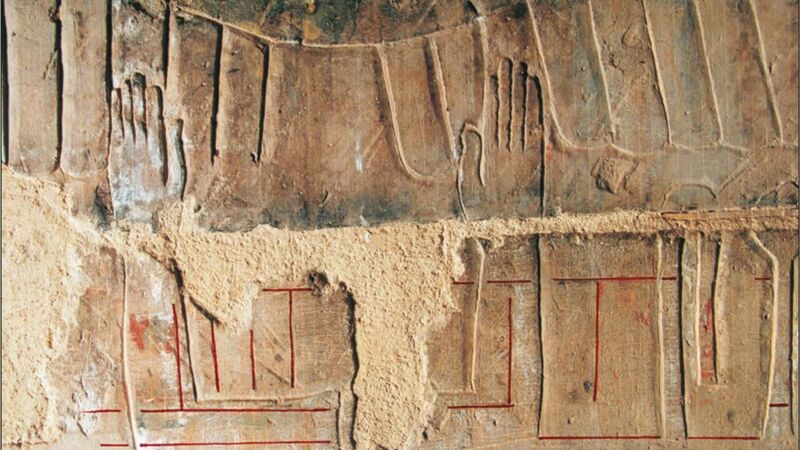 The Polish Center of Mediterranean Archaeology dedicated four seasons between 2011 and 2015 in Deir el-Bahari to the documentation of the wall decoration in the Main Sanctuary of Amun-Re in the Temple of Hatshepsut.